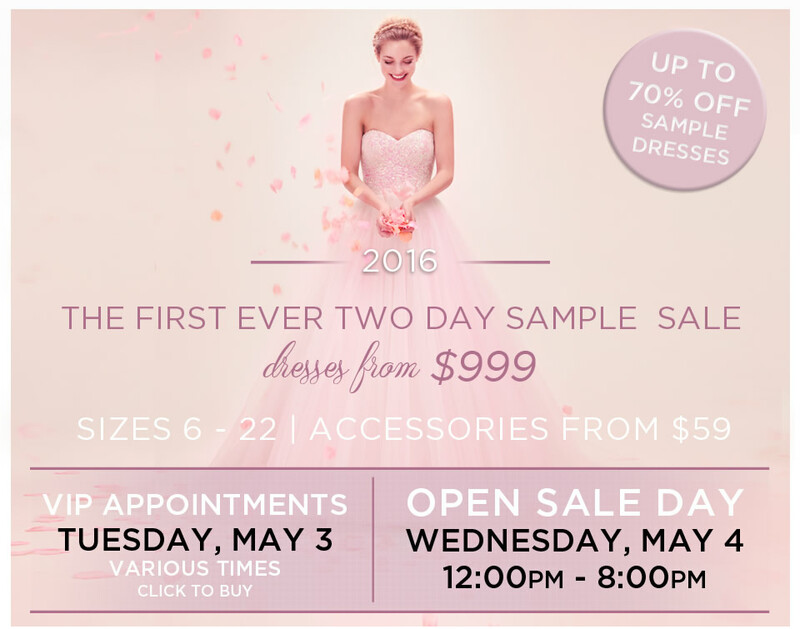 BREAKING: For the first time ever, Kleinfeld Bridal will be hosting a two day sample sale! 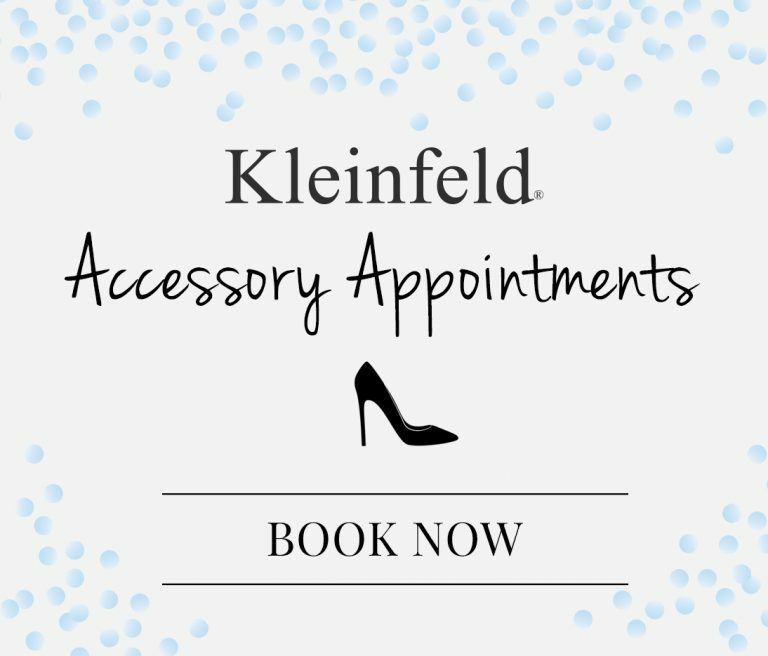 Brides-to-be can schedule VIP appointments or come to an Open Sale day where they can buy everything they need to look simply stunning on their wedding day. Dresses by some of our favorite designers, such as Pnina Tornai, Tony Ward, Mark Zunino and Hayley Paige, as well as jewelry, belts, headpieces and shoes will be available for purchase at our salon Tuesday, May 3rd and Wednesday, May 4th. Tuesday, May 3rd will feature all-day VIP appointments for brides who pre-register: one-on-one attention and first-look privileges included. Buy your tickets online here. If you’re looking to browse, Wednesday, May 4th will be an open sale day from 12 PM to 8 PM EDT! 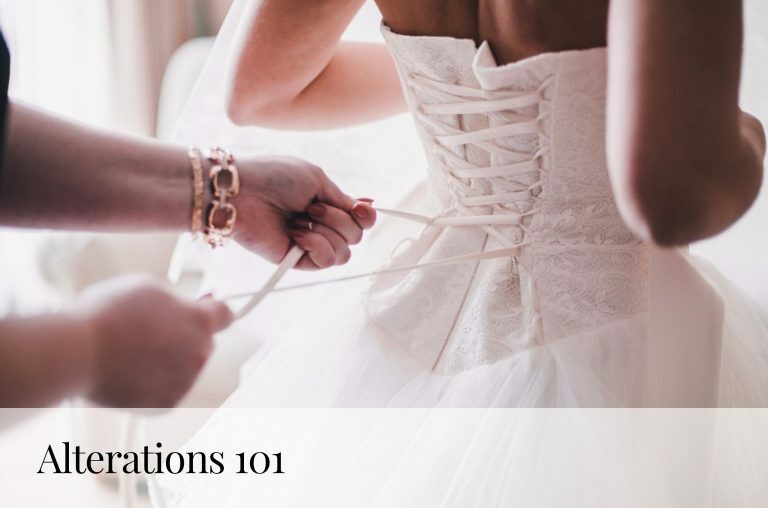 Brides can arrive early to wait in line before the doors open at noon, and if waiting isn’t your thing, you can take a number at reception and be advised what time would be best to return. Dresses and accessories will be on sale for up to 70% off! For more information on the 2016 Two Day event, click here! 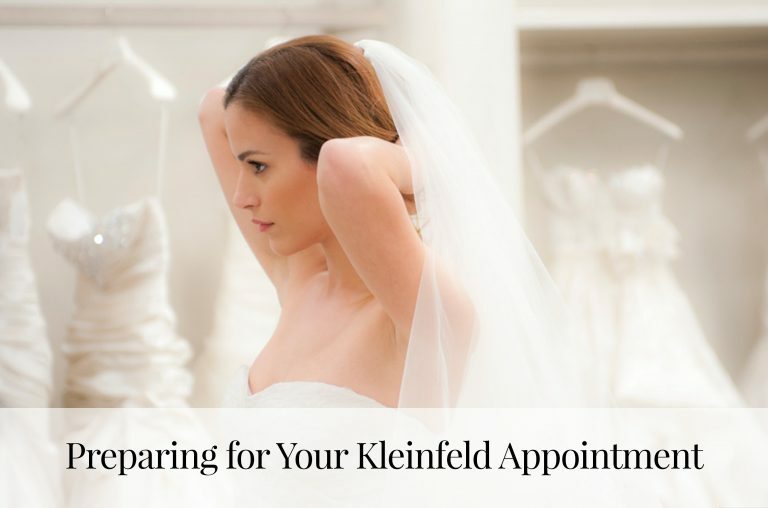 For one-on-one attention with a Kleinfeld consultant, the VIP experience is for you. Don’t forget to schedule your appointment here!